May 1st, 2016 marks the return of Bike San Leandro Day. 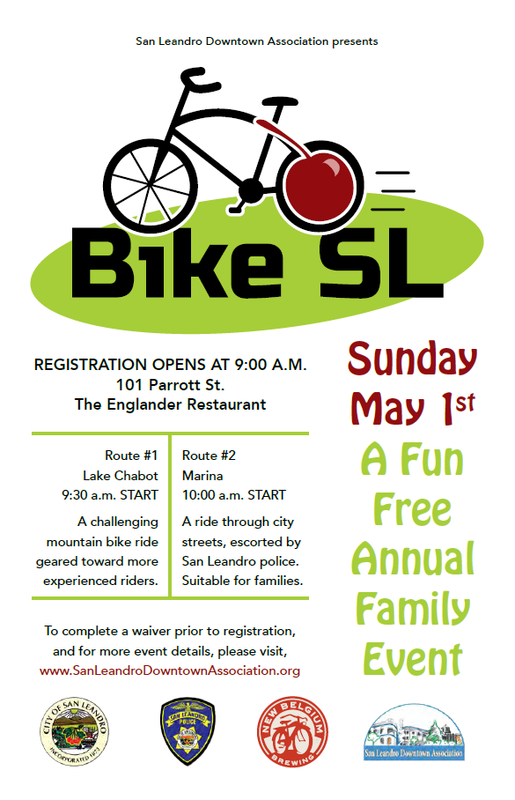 Whether you are an experienced or recreational cyclist, you can take part in this free and fun event. Registration takes place at 9 AM at the Englander Pub at 101 Parrott Street. There are two routes: a challenging, mountain bike route for seasoned riders, as well as a family-friendly route. Visit the San Leandro Downtown Association webpage for more details, and a pre-registration waiver.